15/4/19 PRICE REDUCED FOR SPRING SALE - CHARTER INCOME ALSO AVAILABLE - CALL ME TO VIEW! These boats are a very popular model from Fairline, and are ideally suited to the Med. Fairline Targas have a well-deserved reputation for combining quality and performance. The 48GT gives you lots of space too, boasting a large cockpit area, with its own wet bar and barbecue. The tender garage opens up at the touch of a button, revealing a neat little rib with its own launch and recovery gear. Down below there is a roomy lounge and well-thought out galley. Sleeping accommodation comprises a pair of twin cabins as well as the master bedroom, which boasts its own heads and shower. This is a lovely example of a quality sports-cruiser This one has been used for charter, and is 'coded' to MCA Category 2. The new owner would be able to draw a charter income, if so desired. She comes with the option to continue the mooring, in a premium Palma Bay location. These boat details are subject to contract. 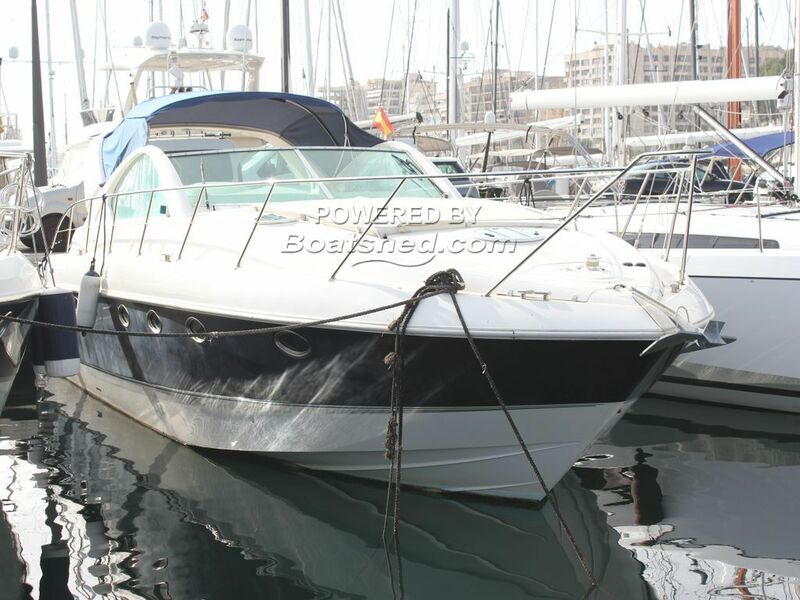 This Fairline Targa 48 GT has been personally photographed and viewed by Rory Gillard of Boatshed Palma. Click here for contact details.